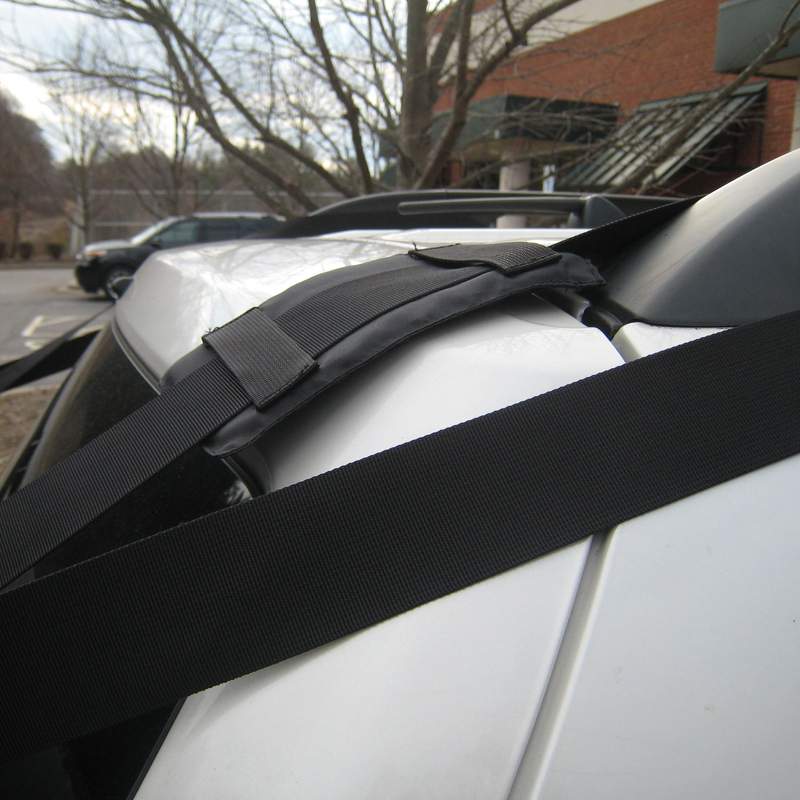 Our in-house testing and many years of customer feedback have shown that when the top straps and the belt strap, the bottom straps, or both, are attached as our set up guide directs, the Cargo Saddlebag cannot move. Once the bag is secure and cannot move, there is no chance for the bag to rub back and forth on the vehicle’s painted surface. With no rubbing, your paint job will remain as good as new. If you want to add a little more protection, our Non-Skid Roof Pad can be placed between the Cargo Saddlebag and your vehicle for an extra layer of cushion. Just pull the Pad behind the Saddlebag once the attachment straps are in place. 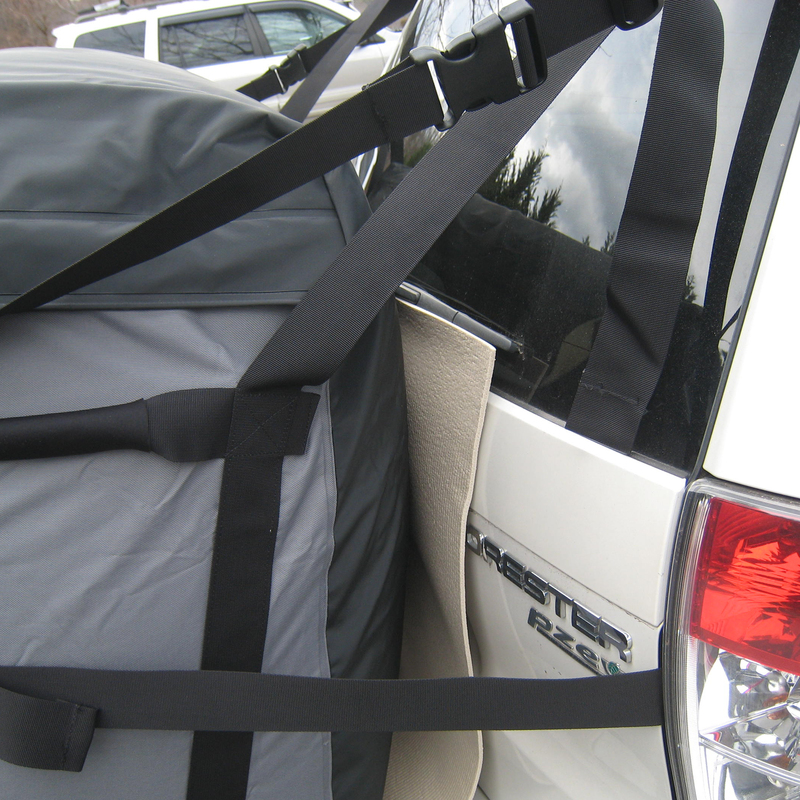 The roof protection pads on the (2) side straps also work to protect your vehicle as well. 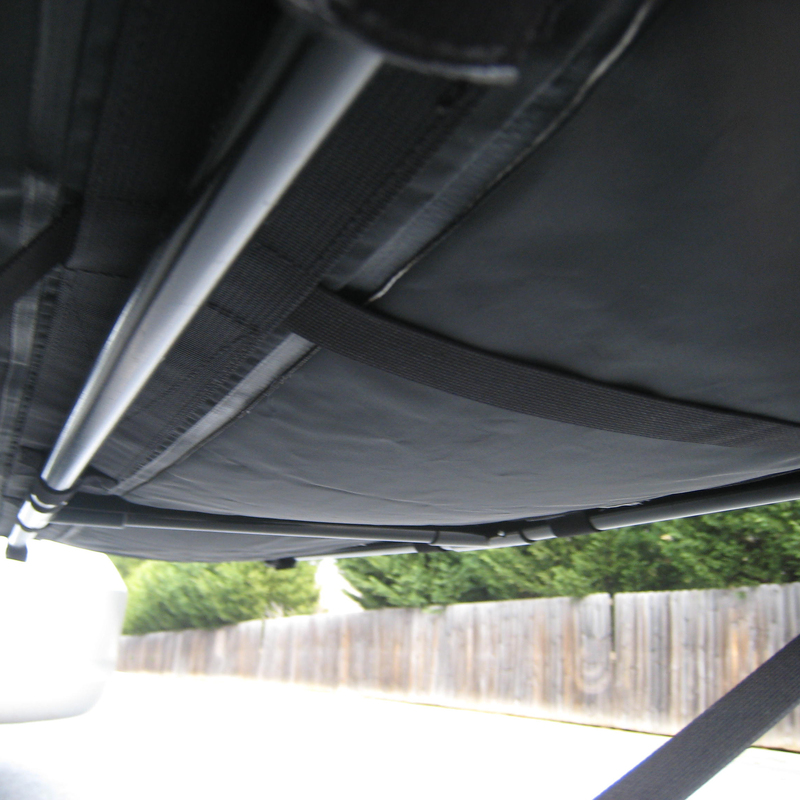 The roof protection pads should be placed at the top rear corner of your vehicle. You will also want to pay attention to your rear window wiper when attaching the Cargo Saddlebag. Depending on the location of the carrier, the wiper may not be able to function during your trip. If the Saddlebag needs to sit on top of the wiper, make sure that the wiper is in its regular position, not bent or pulled down in any way. We recommend checking all the straps not only before starting your trip, but also periodically throughout your journey to make sure they stay tight and secure. You will have no issues with damage to your vehicle. 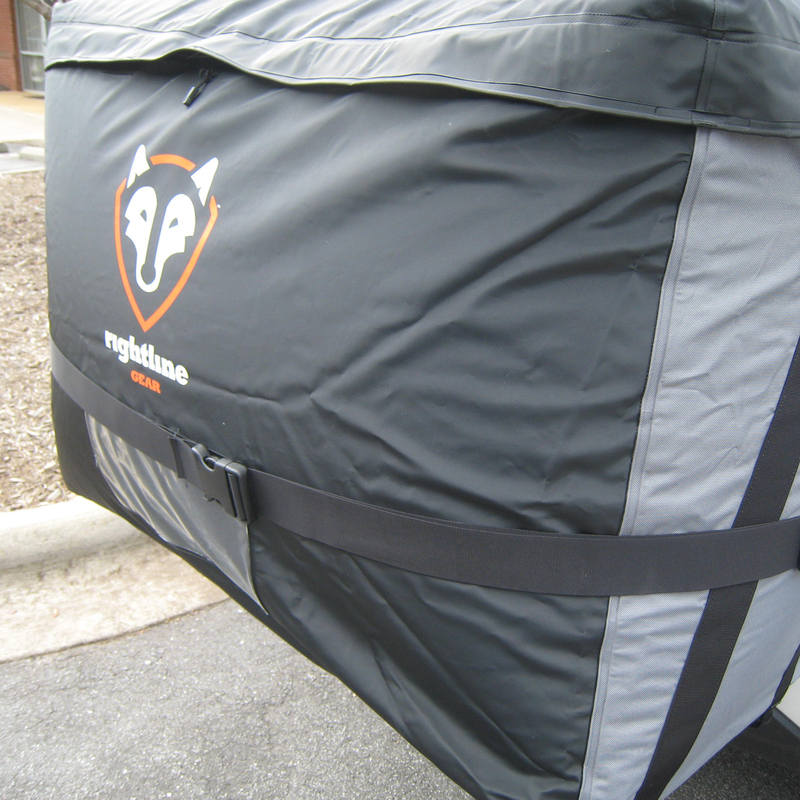 This entry was posted in Cargo Saddlebag Tips and tagged Cargo Saddlebag, Rightline Gear. Bookmark the permalink.